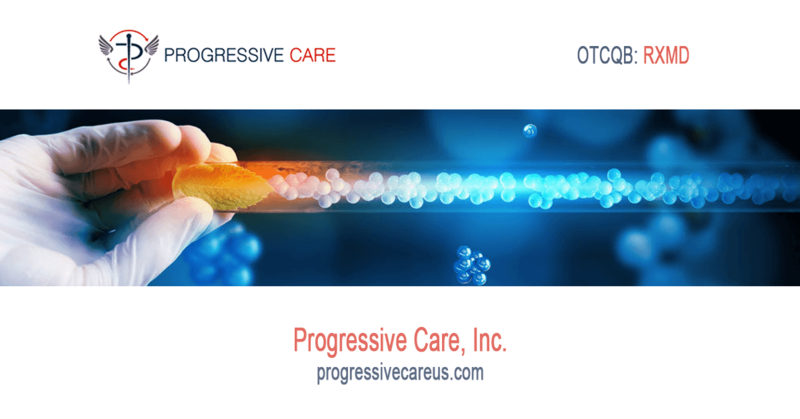 S. Parikh Mars, CEO of Progressive Care Inc. called in to SmallCapVoice.com, Inc. to answer shareholder questions that the company was not able to get to in the recent Q2 earnings call, go over the drivers behind the recently announced largest six-month revenue period in company history in Q2 2018 financial filing , the completion of the Touchpoint Pharmacy acquisition, the big news regarding PharmCo, LLC has met all three of the performance measures evaluated by Humana Inc., a leading health and well-being company, as part of its Rx Quality Network program. As a result of PharmCo’s performance scores in the first measurement period, the company will receive the maximum payout offered by Humana as part of the program’s rewards, provide an outlook for the remainder of 2018 and much more. This interview may include forward looking statements. These forward-looking statements generally are identified by the words “believe,” “project,” “estimate,” “become,” “plan,” “will,” and similar expressions. These forward-looking statements involve known and unknown risks as well as uncertainties, including those discussed in the following cautionary statements and elsewhere in this release. Although the Company believes that its expectations are based on reasonable assumptions, the actual results that the Company may achieve may differ materially from any forward-looking statements, which reflect the opinions of the management of the Company only as of the date hereof. SmallCapVoice.com, Inc. received $2,500 from the company on 12-14-17 for 30 days of service. SmallCapVoice.com, Inc. received $2,500 from the company on 2-1-18 for 30 days of service. SmallCapVoice.com, Inc. received $2,500 from the company on 3-1-18 for 30 days of service. SmallCapVoice.com, Inc. received $2,500 from the company on 4-1-18 for 30 days of service. SmallCapVoice.com, Inc. received $2,500 from the company on 5-1-18 for 30 days of service. SmallCapVoice.com, Inc. received $2,500 from the company on 6-1-18 for 30 days of service.